The novel is too successful as a whole, too intricate and subtle to be segmented in any way. 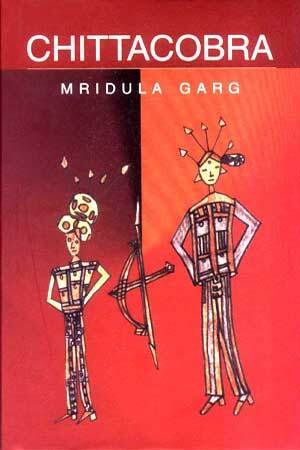 Mridula, like poet Muktibodh, seizes the moment of time as if it were a dimension of the experienced. Because the fantasy is turned within its consciousness turns the reality into a metaphor. Words and images weave a parallel world and not an equivalent of the real. The search for freedom form the mirror is the theme of Chittacobra. The dialogues carry the imagery as a mirror does, as it throws up automatically. The rear view images of a multi-dimensional world. Chittacobra placed me in a wonderful dream. I found myself in a world of finest confession and sheer honesty. The writer of there lines had no necessity to do with pale half truths. What a grand, rear delight so fulfilled with infinite patience. My whole being floated on rustling waves during the hours l read this book. The book deals with the physical in a way that the reader transcends that very physicality. Chittacobea has a primitive inner current of desire running through it, is compact and finally honed as if by desire itself and is stylistically challenging to the critical mind. 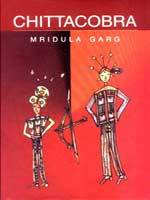 Garg offers us an insight into her woman’s innermost self where she is a passionate lover, a detached wife and mother, a fervent poet and a languid observer of the world; she is forced to live in.